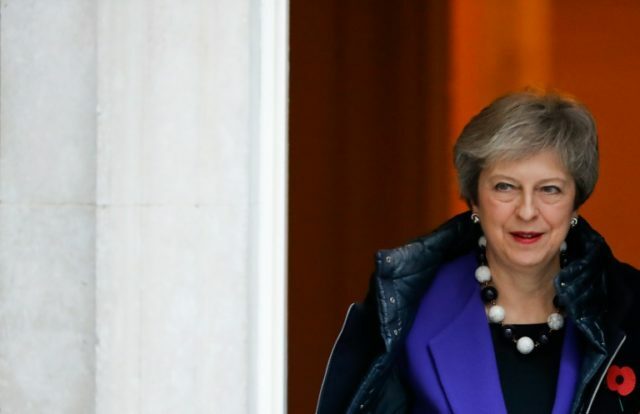 Paris (AFP) – British Prime Minister Theresa May and French President Emmanuel Macron are set to commemorate their countries’ shared sacrifice in the First World War on Friday and discuss the future of their post-Brexit relationship. “A century ago British forces fought side by side with our allies in Europe on the Western Front. Today in France and Belgium we reflect on our shared history, but also look ahead to our shared future, built on peace, prosperity and friendship,” May said in a statement. Negotiators have been racing the clock to try to agree the outlines of an agreement to settle Britain’s exit that could be approved at a summit of EU leaders in Brussels this month.